Because the Gators are the defending national champs, everybody is expecting a repeat performance. 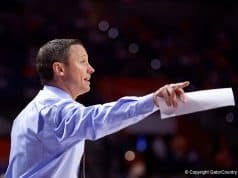 With all the hoopla surrounding the hoops juniors, one can't forget Green's readiness to lead UF. Chandler Parsons became Florida's fifth basketball commitment for the class of 2007. This season's hoops schedule has some great games, but also many walkover games. J.J. Hickson will visit the University of Florida on the weekend of September 9. 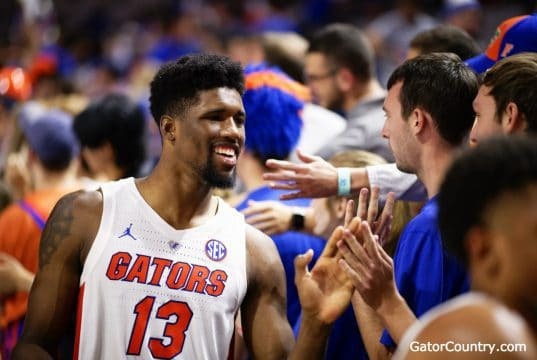 Patrick Patterson will be checking Florida's team chemistry when he visits September 9. Billy Donovan will sign a long term contract extension, but it won't be any time soon. 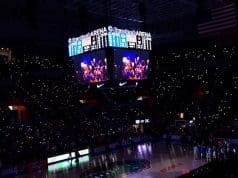 Florida Gator Basketball unveils their new schedule for the 2006-2007 season. 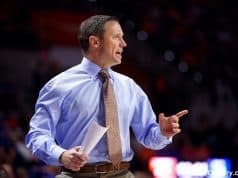 For only the second time in Billy Donovan's tenure, the per seat contribution has been raised. Chandler Parsons has seven schools on his list but he has two visits already planned. HOOPS: Happy, Sad Day for Parsons? Now that the AAU season has concluded, coaches are already looking to fill the class of 2008. Some of the top basketball players in the country played as many as 100 games on the AAU circuit. 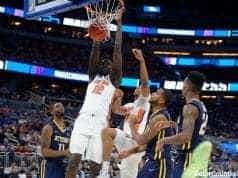 Patrick Patterson blocked three shots in the final 10 seconds to preseve a win for Boo Williams. Nick Calathes and Chandler Parsons just wouldn't let Nike Team Florida lose Sunday night. Al Horford's startling play at the Nike All-American Camp has stoked the NBA talk yet again. The South Carolina job is the one Steve Spurrier wanted. It's also the one he needed.